Tyler Denton described his goalscoring debut as a “dream come true” as his agent, Ian Harte, revealed that he expected the left-back to agree a long-term deal with Leeds United in the near future. Denton, 20, revelled in the spotlight after his sweet 20-yard strike earned United a place in the League Cup’s third round on Tuesday night. 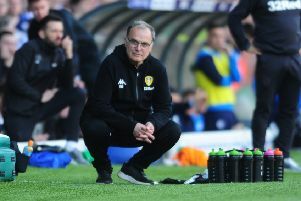 Leeds’ latest academy product, who was tied to a one-year contract by the club in June, made the most of a first senior appearance by driving home an early chance with the outside of his boot, sealing a 1-0 win at Luton Town. Denton’s finish led to exuberant celebrations on the touchline with other players who have come through United’s academy and the youngster said: “To do that is a dream come true. Literally words cannot describe that feeling. Harte, the former Republic of Ireland international who spent almost a decade at Elland Road, represents Denton and took to Twitter to voice hope of a deal over a fresh contract with the Whites.